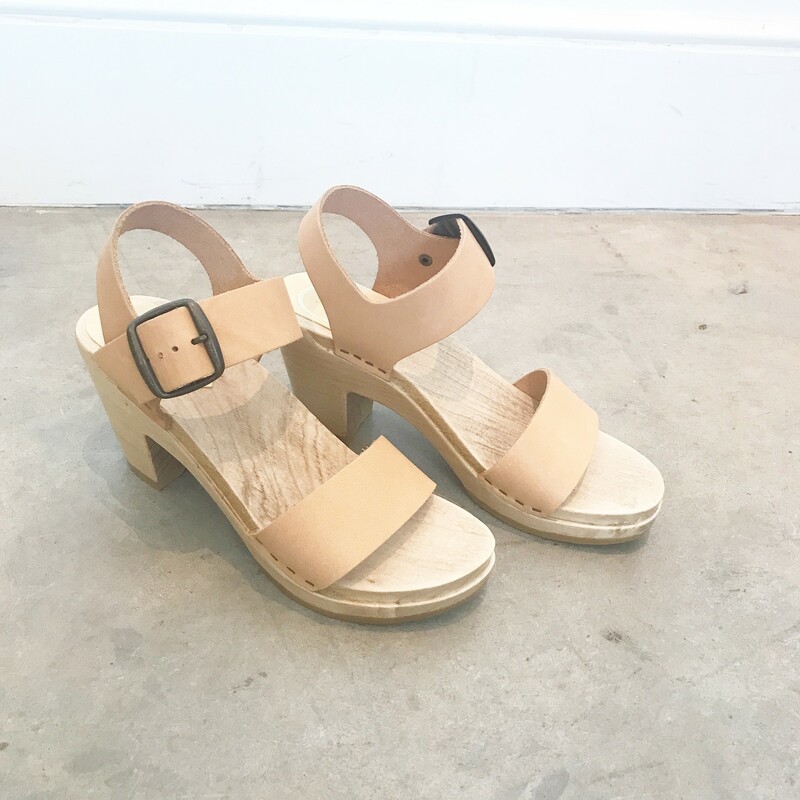 The most versatile, wear-all-day high heel clog sandal in peach-pink leather. 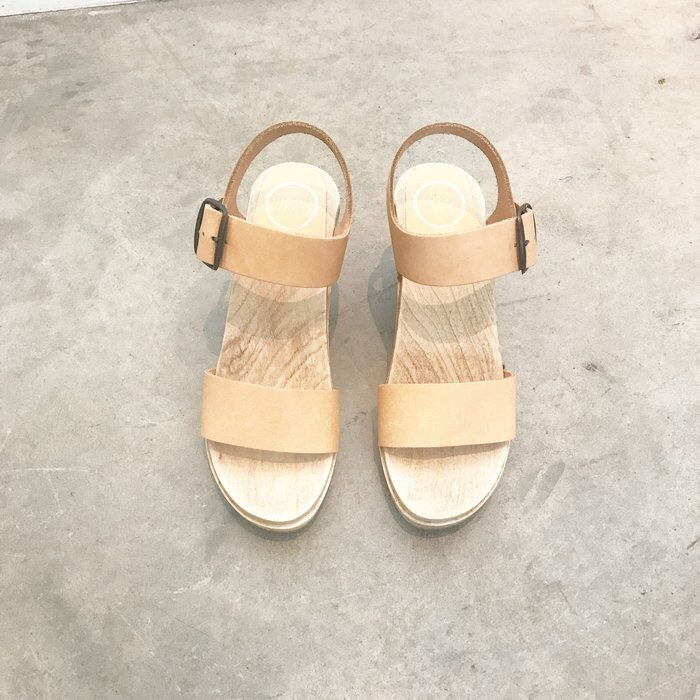 Wide toe strap and adjustable ankle strap. Antiqued brass buckle. Cow leather upper. Wooden base with polyurethane sole. Ideal for narrow to regular widths. Leather upper will soften with wear.